1. What is an airship? 2. Why is the Rigid Airship superior? 3. What is so special about an airship? 5. 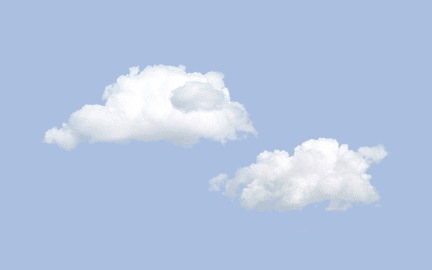 How can a lighter-than-air vessel operate in severe weather? 6. How fast do airships travel? 7. What happens if the envelope is punctured? An airship is an airborne vehicle obtaining most of its lift from lighter-than-air (LTA)gas (generally helium) contained in the vessel�s envelope (or in separate gas cells). Additional lift is provided by the aerodynamic contour of the vessel; this may be supplemented during take-off and landing by the application of vectored thrust provided by the engines. Since most of the airship�s lift is derived from the helium, the engines are needed mainly to move the vehicle through the air and, to a lesser extent, to provide power for the avionics. This results in considerable fuel economy compared with heavier-than-air (HTA) types of craft and produces much reduced emissions. There are 3 main types of airships: rigid, semi-rigid and non-rigid. The rigid airship maintains its shape and rigidity by an internal framework. The lifting gas is contained in a series of separate gas cells within the main structure; the structure is enclosed by the outer cover or envelope. Accommodation is carried within the structure. The semi-rigid airship maintains its shape and rigidity by the pressure of the lifting gas directly within the gas-tight envelope but supplemented by either an internal or external keel. The non-rigid or pressure airship maintains its shape by the pressure of the lifting gas directly within the gas-tight envelope, supplemented by an adjustable volume of air within ballonets. 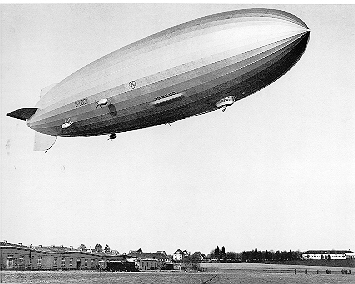 Today most airships are of this type and use helium as the lifting gas. A non-rigid or pressure airship is often referred to as a blimp. The Classic Rigid Airship is the only type of airship to have demonstrated success in commercial airship operations at a level beyond that of advertising and short endurance passenger joy rides. 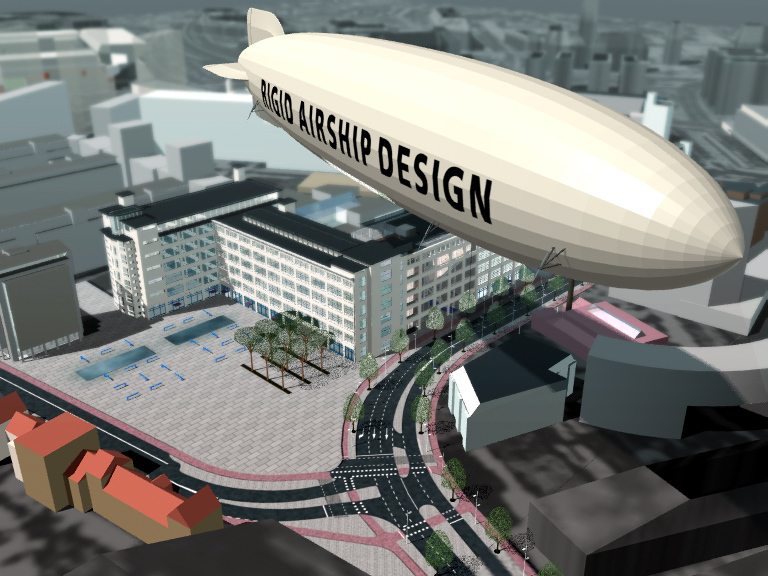 Despite a large number of proposals having been made to develop other airship types to operations in full commercial passenger and freight transport, no proposal to date has succeeded in commercially undertaking such use. 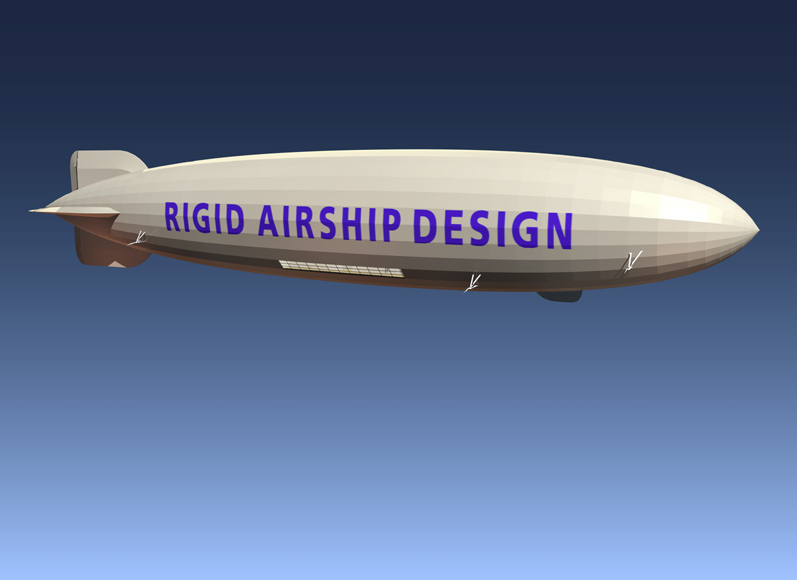 The Rigid Airship is the only airship type with the proven capability to maintain controlability and structural integrity at flight speed in the event of loss of a gas containment element. The Rigid Airship provides an insulating air layer between the outer environment and the lifting gas, thereby eliminating the immediate and significant variation in gas lift which occurs in other airship types as a result of variations in sunlight. The Rigid Airship provides a structure capable of housing the power plants at points on the optimum line of thrust within or external to the hull, thereby reducing drag while maintaining maximum aerodynamic efficiency. The Rigid Airship�s structure prevents aerodynamic flexure, thereby increasing speed (or reducing fuel consumption) by around 10% when compared with other airship types. An airship can be more spacious than any other aircraft. It also has the unique advantage of being able to stay airborne for long periods. Whereas fixed and rotary wing aircraft measure flight time in hours, an airship can stay aloft for days or weeks. First: helium is not only non-flammable but can actually extinguish fire. Second: a modern airship�s advanced, robust structural and fabric materials as well as its sophisticated mode of propulsion and flight control, make it extremely safe to operate even in bad weather. Goodyear have proven in their operations since the late 1930�s until the present that modern airships have by far the best safety record of any type of flying vehicle. A rigid airship is not a free balloon, its aluminium framework and multiple engines produce a vehicle which, even before World War II, was capable of operating a scheduled service in the severe weather conditions experienced over the North Atlantic Ocean. During US government tests in the 1950�s the airships� weather ability exceeded that of fixed wing aircraft even in long duration radar operations conducted in what were often FULL gale conditions. An airship is, in general, a low speed vehicle or platform. It is unlikely to exceed 148 km airspeed. But an airship is considerably faster than most surface alternatives. What it lacks in speed it more than makes up in its operating flexibility. Unlike a toy balloon, the lifting gas in a pressurized airship, a so called blimp, is maintained at a very low pressure (just sufficient to maintain its shape). In a rigid airship there is no pressure at all. Should a small hole occur, the escape of gas would be slow. Even with a large number of small holes the buoyancy would not be substantially effected immediately, and can be repaired during periodic maintenance inspections. A large hole in a gas cell on a rigid airship would mean that the airship�s mission would have to be aborted but the ship could still return to base for the necessary repair. Even in such circumstances the airship would be capable of remaining aloft and landing safely.